The not very well known Subaru Impreza WRX S is based on the normal WRX, just equipped with a slightly bigger turbo. This WRX S version is available as a special edition from Subaru! The only modification on our testcar is a simple catback exhaust and our CRTEK1 software. Before we remapped the car, the powerband felt a bit strange, not familiar with other Subarus! 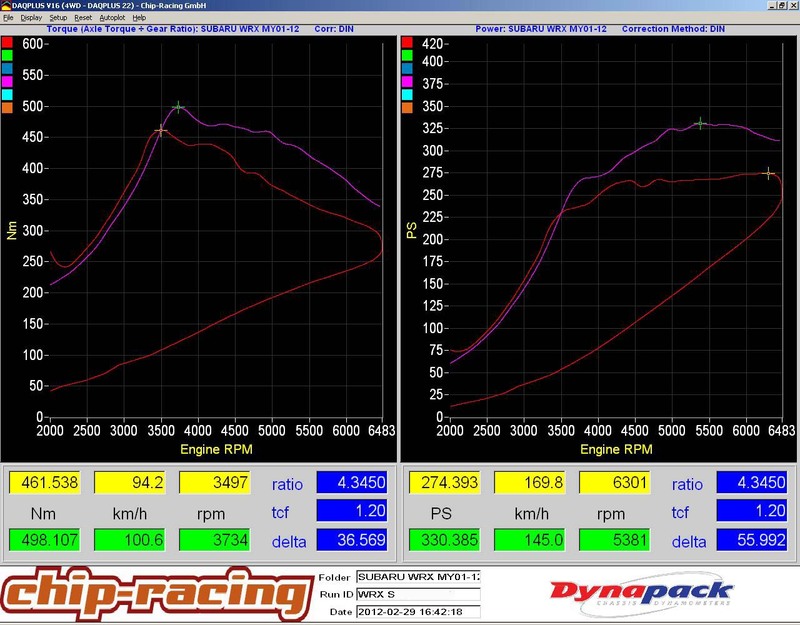 The Dynorun with stock ECU shows why: The power output is pretty much constant from 4000 up to 6500rpm! We were able to get a good increase in power and driving feeling! The Subaru Impreza WRX S has good potential which can be unleashed with minimal effort! Tuning the WRX S with our CRTEK1 really makes a big difference and makes the car way more attractive and fun to drive!